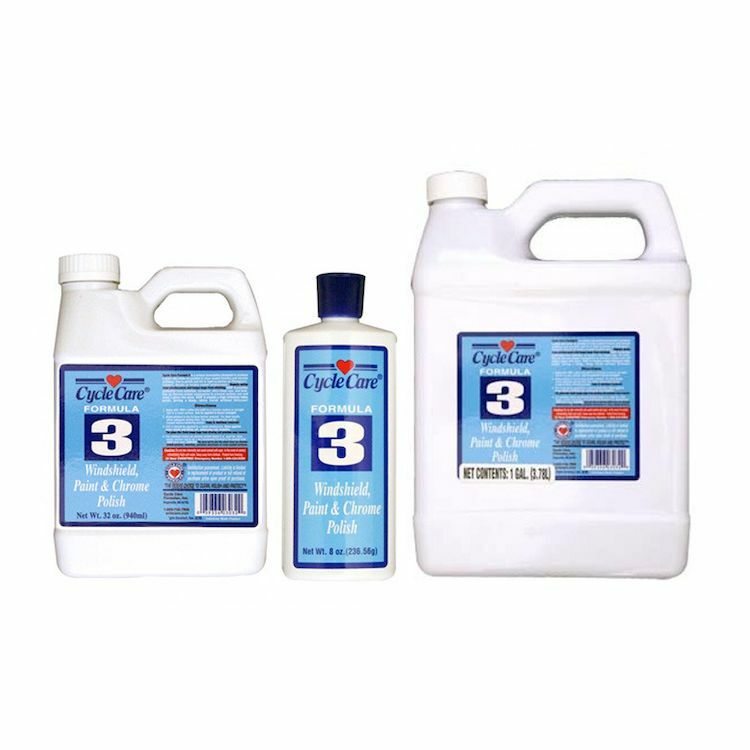 Cycle Care Formula 3 is a unique formulation designed to produce a glass-like shine on painted or clear coated finishes and chrome surfaces. Use to polish and fill in light scratches on Plexiglas, Lexan, Acrylic or factory coated windscreens. Formula 3 creates a high reflective index point, giving a deep, shiny finish without Silicone.